The plan for the Beaver Creek Clean River Project -- the sewer facility planned for Albany's Lincoln Park that prompted an upswell of community skepticism this past spring -- has changed, officials announced at a public meeting Tuesday evening at TOAST Elementary. The project still includes a new sewer facility and park space in the old Beaver Creek ravine, but engineers have made a significant design change that officials say will result in both a smaller footprint and smaller impact. A sketch of what the proposed meditation labyrinth and garden could look like. The next community meeting for the Beaver Creek Clean River Project -- the sewer facility / park space planned for a ravine in Albany's Lincoln Park -- is November 27 at 6:30 pm at TOAST Elementary (94 Delaware Ave). After gathering feedback about the project proposal at a series of community and stakeholder meetings, the Albany Water Board has revised the design of the screening and disinfection facility. In addition, the Community Advisory Committee has provided input and feedback for the design of the Reflection and Learning Garden being developed within the Lincoln Park ravine. (More information on the Committee's August 13th and October 1st meeting). The November 27th meeting will provide an update on the new treatment design, as well as the design for the Reflection and Learning Garden in the ravine. 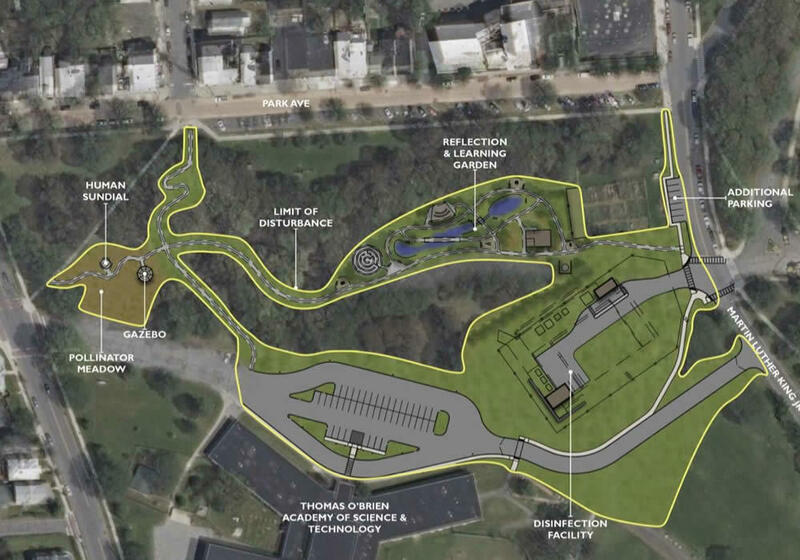 Back in October the city posted some new designs for the park space that's accompanying the facility, including an indoor/outdoor classroom, meditation labyrinth, walking paths, play structures, and wetland. There's also an online survey about a name for the park space and ravine. Here's a quick update on that reflection and learning garden* that's to go along with the planned Beaver Creek Clean River Project sewer facility in Albany's Lincoln Park. Here are the city-posted notes from the latest meeting of the community board that's providing input on the project. 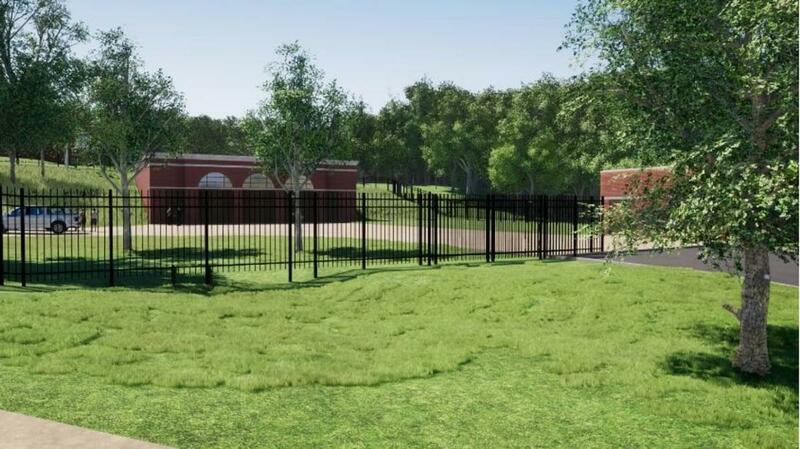 They include updates from CHA -- the firm working with the city on the project -- about the possible design for the indoor/outdoor classroom, meditation labyrinth, walking paths, play structures, and wetland that would occupy the Beaver Creek ravine. There are also new renderings of the possible design, and they're probably the fastest way of getting a sense of what's being discussed. So we've clipped a few of them -- see below. One of the renderings of the project. Much of the facility would be underground. Albany is an old city, built atop layers of old infrastructure. And it's currently taking on a problem that is literally a hundred years -- or more -- in the making. Large portions of Albany's (very old) sewer system combine both sewage and stormwater. And when it rains a lot, the system can't handle all that water. So the sewage ends up in the Hudson River. Yep, gross. It's a serious environmental and health problem. But the city and its neighbors are currently working on a plan to address this problem. 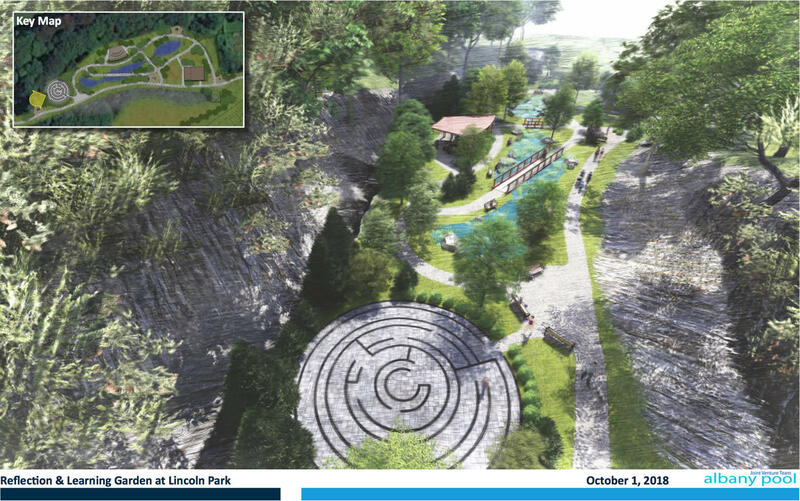 And the centerpiece is a $45 million project -- what one official called the biggest public works project in a generation -- that would be located in Lincoln Park. A sewer facility in a park? People are going to have a lot of questions about that. And they brought them to a public meeting this week.